Family Businesses are unique. 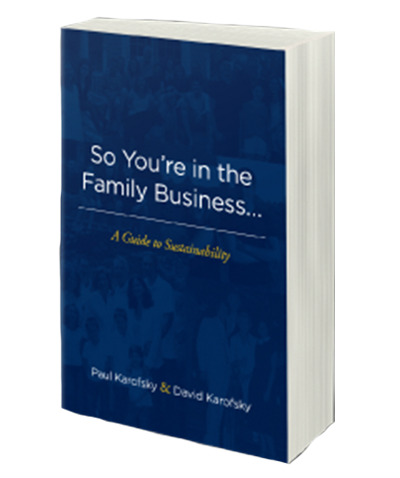 Unlike others, the complex blend of family and business requires an in depth understanding to ensure long-term success. Who can you go to for advice when both family and business are concerned? Transition Consulting Group is proud to offer The Peer Alliance, peer forum groups which enable members to share their knowledge, skills and experiences to guide each other through their greatest opportunities and challenges. It’s a personal board of advisors- a group built upon trust, sharing and intimacy that works together to navigate the waters of business and family. We invite you to watch the video below to learn more. Brothers David and Jacob Grossman, co-presidents of The Grossman Companies, talk about evolving their family business into a fifth generation. How do they get the job done? And what role has The Peer Alliance for family businesses helped them deal with challenges along the way?